In earlier eras, the light heavyweight champion was considered a leading contender for the heavyweight belt. In today’s world of super heavyweights, it might be a stretch to think that Andre Ward or Sergey Kovalev could move up and contender with the big men, though I wouldn’t rule it out for either man, given their unique talents. 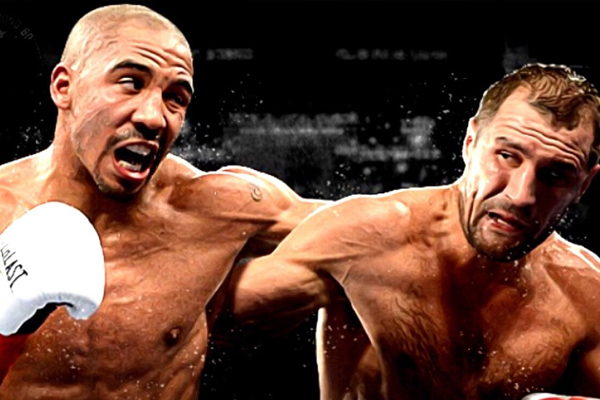 During most of boxing history, Ward and Kovalev would have very much been in the mix. In June 1941, light heavyweight champion Billy Conn very nearly changed the entire course of boxing history, when he moved up to challenge heavyweight king Joe Louis. Conn was a scrappy, charismatic fighter, always ready with a quip for the writers. He was a very good technical fighter, but was given little chance against Louis, a man who seemed to have been born to rule the heavyweight division. By 1941, Louis had knocked out the previous five men to hold his crown. He had so thoroughly cleaned out the division that only Conn was left as a compelling challenger. If Louis seemed destined to become boxing royalty from the start, Conn was a thorough graduate from the School of Hard Knocks. He turned pro in 1934, at the height of the depression, with no amateur background. He lost six of his first 14 fights. By the time he was 20, he was a contender. In July 1939, Conn defeated Melio Bettina by unanimous decision, to become the light heavyweight champion of the world. He beat Bettina in a rematch, along with Gus Lenevich, Bob Pastor, Buddy Knox and a half-dozen other opponents over the next two years, before getting his crack at Louis. When boxing fans talk about how much different history would be if championship bouts had always been 12 rounds, this is one of the bouts that inevitably comes up. For the first 12 rounds, Conn thoroughly outmaneuvered his larger opponent, moving in and out of range and harrying Louis with quick combinations. After 12 rounds, two judges had Conn up and a third had the fight even. Conn staggered Louis badly in the closing moments of Round 12. But Conn’s bravado got the best of him. Prior to Round 13, he boasted to his corner that he was going to knock Louis out. With the crowd roaring, he moved out and went toe-to-toe with Louis for the entire round. The inevitable happened, as Louis connected with a pair of right hands that put Conn to sleep just before the close of the frame.